It was in 1992, when the Internet era started. However, it started without the existence of the World Wide Web (www). Internet was made available to the world through the “www” network in the following year. The Defense Advanced Research Projects Agency (DARPA) agency of the US Government was instrumental in making it public. Internet penetration among users worldwide rose substantially after privatization of the Internet in 1994. The Internet era continued to boom from April 1997 till March 2000. During that time period, Information Technology (IT) was at its prime and became the key accelerating force for the economy. It was in fact one of the topmost sectors which was creating the majority of jobs across all countries, helping in the overall economic growth. During these years, most of the entrepreneurs were willing to invest in any sort of dotcom business for the sake of high profitability. The predominant view of these entrepreneurs was that the IT industry was about to completely revolutionize the economy for good. Organizations increased their stock prices by adding either an “e” prefix or a “.com” to the brand name. The entrepreneurs had a common belief that the stock markets would make enormous strides thereby reaching unprecedented levels. Such was the confidence, that investors completely overlooked the traditional P/E metrics and instead focused predominantly on the increasing stock prices, market confidence and individual speculation in stocks. Rapid increase in equity markets intensified by massive investments in Internet-based companies that created the “dot-com bubble.” Therefore, the period from April 1997 to 10th March 2000 is often referred to as the Internet or dot-com bubble which caused worldwide stocks to soar astonishingly, mainly due to technology-based companies. The growth of the tech companies proved to be illusionary. Several court cases were filed against the tech companies for unscrupulous business practices. The verdicts went against the tech companies and as a result, the stock market crumbled. The US stock market crash led to a loss of nearly $5 trillion in the market value of companies from 2000 to 2002. As the stock markets plummeted, many MNCs were unable to sustain the financial burden and declared bankruptcy. 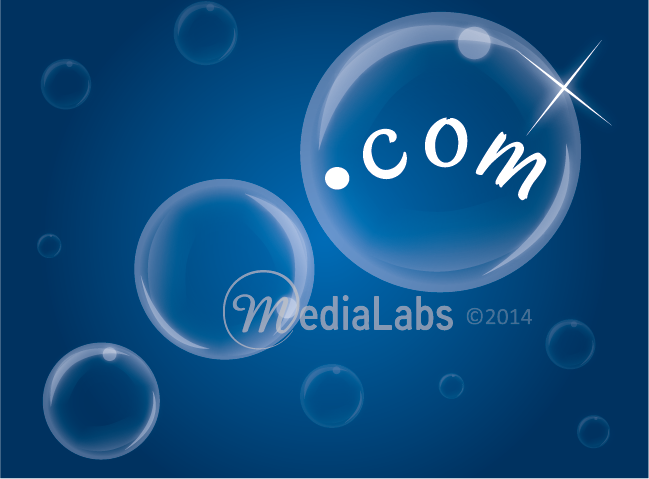 Several dot-com companies ran out of capital and were either acquired or liquidated. Top investment firms were fined millions of dollars for misleading the investors. The crisis got another severe blow from the terrorist attack in 9/11. The condemned terrorist attack on the Twin Towers of the World Trade Centre fueled a further drop of the stock market. The New York Stock Exchange (NYSE) suspended trading for four sessions following the attack. The Internet and IT era collapsed with widespread job losses and a huge setback for the overall economy. The severe financial crisis led to a worldwide recession, especially in the US during 2001 to 2002 and the phase of economic slowdown dragged on till May 2003.